As interest in the alpaca has grown, folks have come to recognize those long-necked creatures they see out grazing in the pasture. They are ALPACAS! Friendly, soft, warm and fuzzy, they are bearers of one of the finest natural fibers known to man. Originally from South America, alpacas can now be found in small herds all across the United States, and if you live in Tennessee, there is probably an alpaca farm right in your area. We invite you to come and see alpacas for yourself. Search for a Tennessee alpaca farm near you by clicking on the Visit an Alpaca Farm button on this page. Make an appointment with the friendly folks you find there to meet these gentle, inquisitive animals first hand. Livestock for Fun and Profit. or seeking a source for alpaca fiber and products or to get answers to specific alpaca questions on husbundry and care, this site can put you in touch with Tennessee alpaca owners who can give you the information you need. 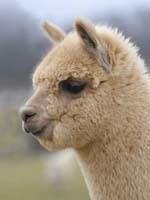 Use this site to learn about alpacas. 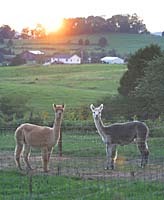 Use this site to visit Tennessee alpacas. Or click on the "Ask an Alpaca Question" button to send an email to the entire Tennessee Alpaca Association membership and you'll find that folks will "volunteer" to write you back with helpful answers. Please feel free to join us in "Exploring the new frontier in luxury-fiber livestock" right here in Tennessee. would love to meet you. Click here to find them. Non-Members can get answers directly from TAA members. Click here to send an alpaca question to the TAA members.